I can't believe hindi ko nablog to??? Or baka na delete ko ba?! 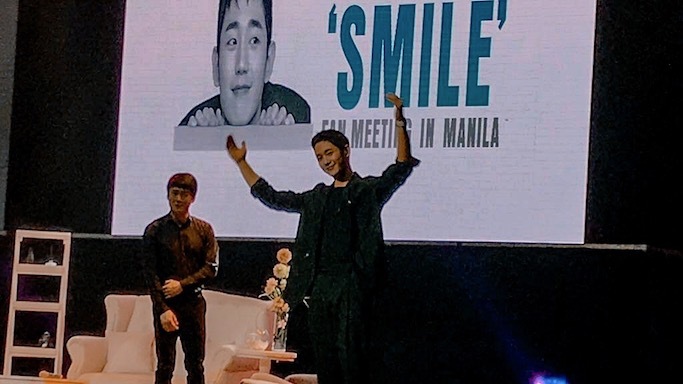 Anyway, I was looking through my "fan meet" blog posts when I realized that I forgot to blog my Jung Hae In fan meeting experience last July 2018. 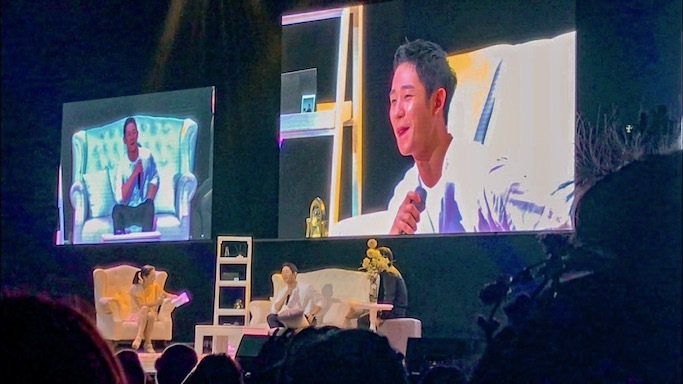 I super enjoyed this fan meeting, and narealize ko na naka ilang solo fan girling narin pala ako. "Walang makakapigil" lol. 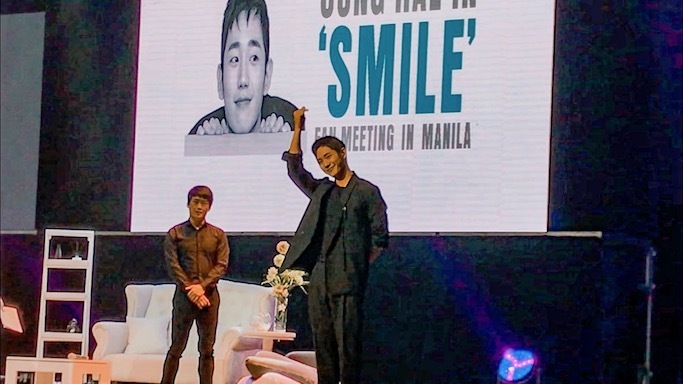 Just as long as I am here in Manila and afford ko, suportahan ko lahat ng pupuntang Kdrama oppas dito! Hehehe. 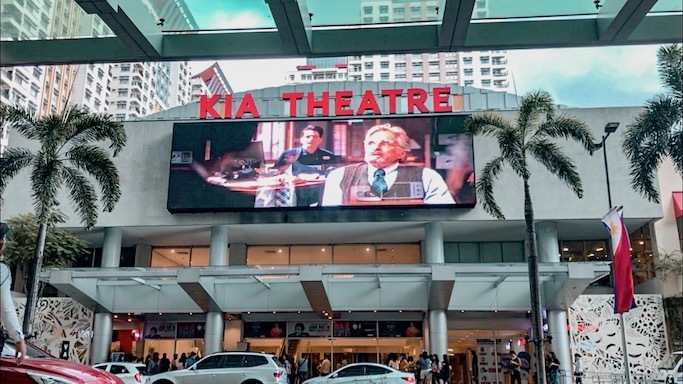 Event venue was in Kia Theatre, but I think iba nadin name niya ngayon hahaha. 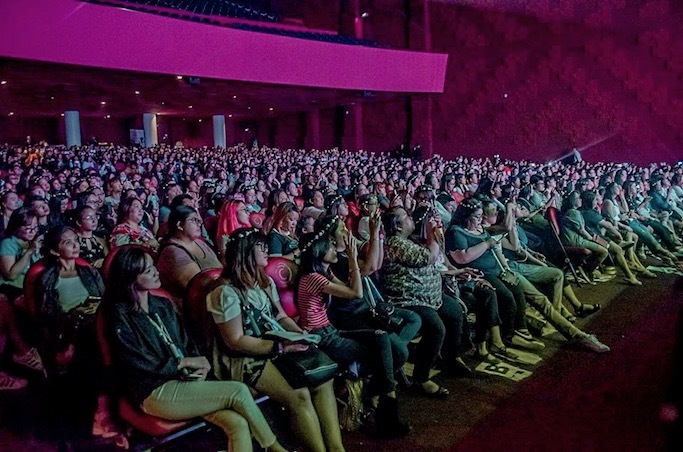 Just a few months and nagbago na pati name ng venue parang ang tagal tagal na talaga tuloy hehehe. 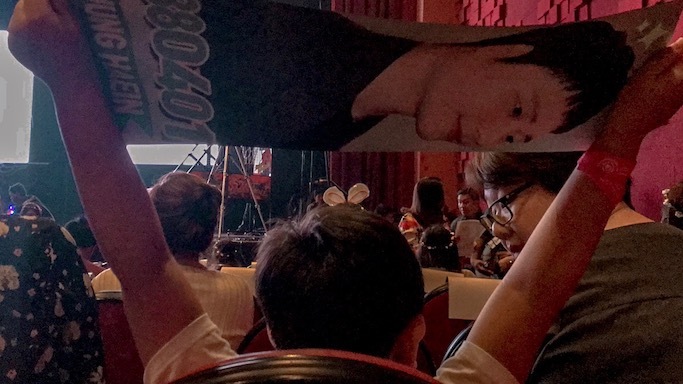 What I love about this fan meeting are the fans. I received so much stuff at the entrance palang of Kia. 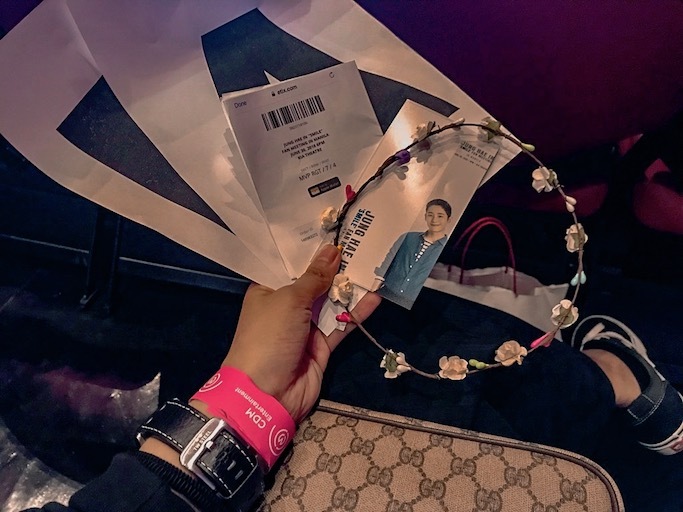 From these flower crowns that everyone in the audience wore agad agad, to the Jung Hae In bookmarks and posters. Fans gave them all away to fellow fans for FREE. 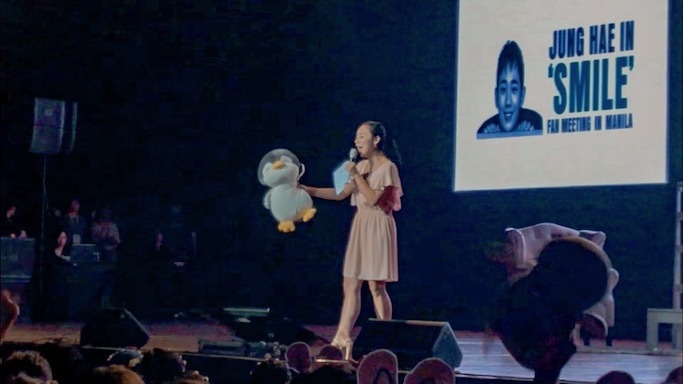 Before the program started, the host VJ Sunny hyped the crowd by giving away this Miniso penguin featured in While You Were Sleeping! 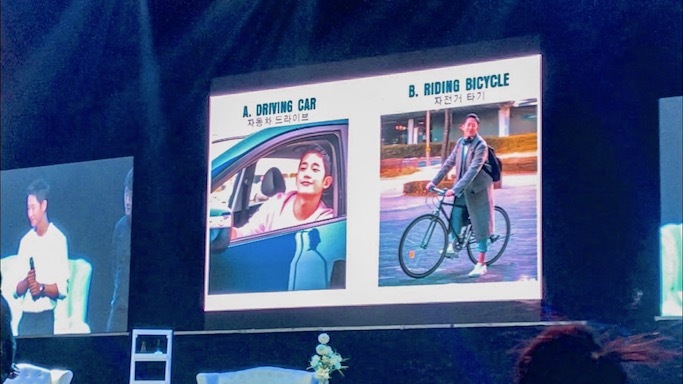 Huhuhu ang cute! Nainggit ako ng light sa winner hahah! 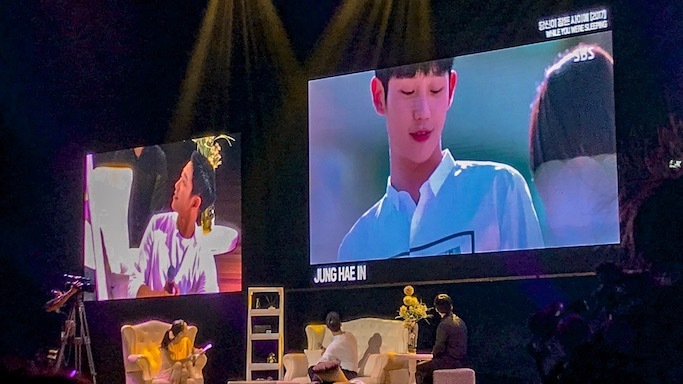 I remembered Jung Hae In was very charming in person. He is very manly, and his smile is really nakakatunaw mwahaha. 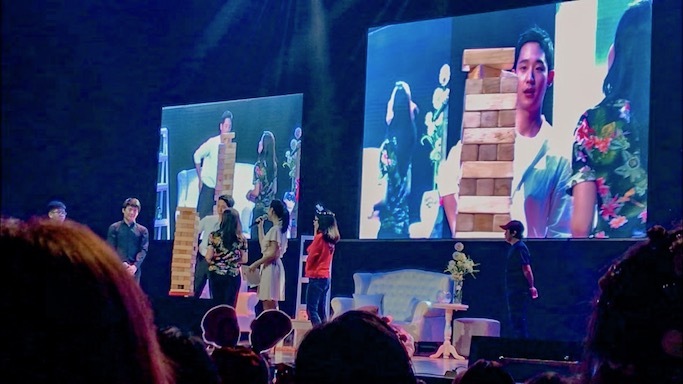 Ang dami din niyang paandar during the show. We left the venue super satisfied and happy! I also love that I went in alone, and left the venue with so many friends. 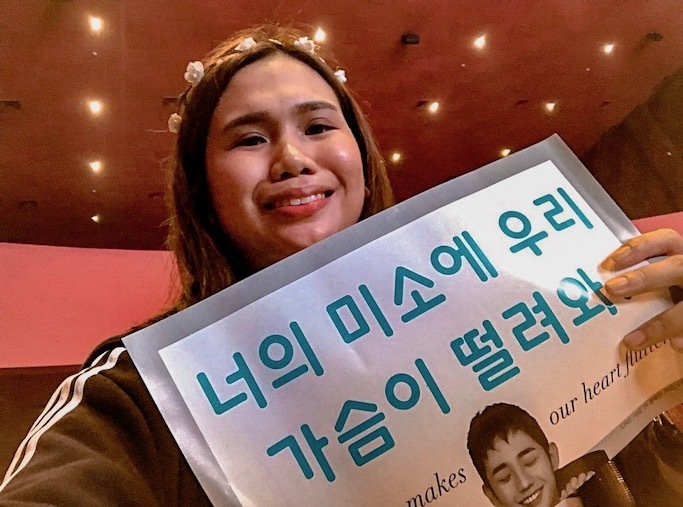 I even met some fan boy and fan girl chingus from the world wide web through this fan meet! 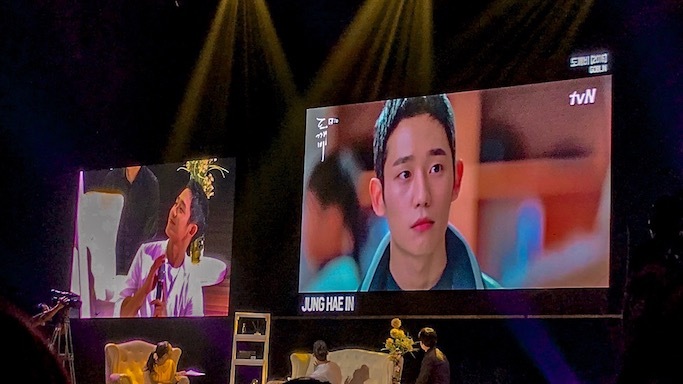 And of course, clips from his past dramas! Did you know that he's also in Goblin? 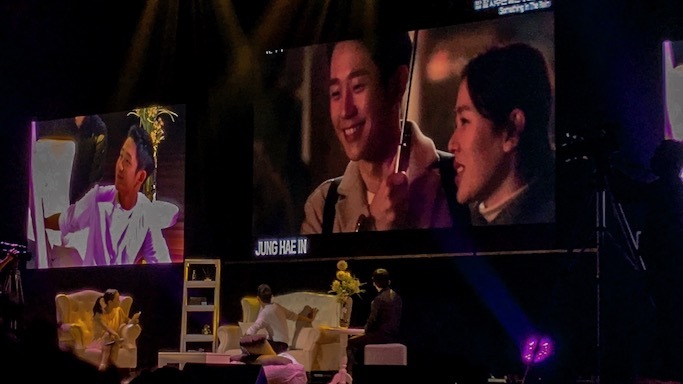 Hae In's scene in While You Were Sleeping that broke my heart hahaha! And of course, Something In The Rain! The crowd went berserk by this time! Hahaha! 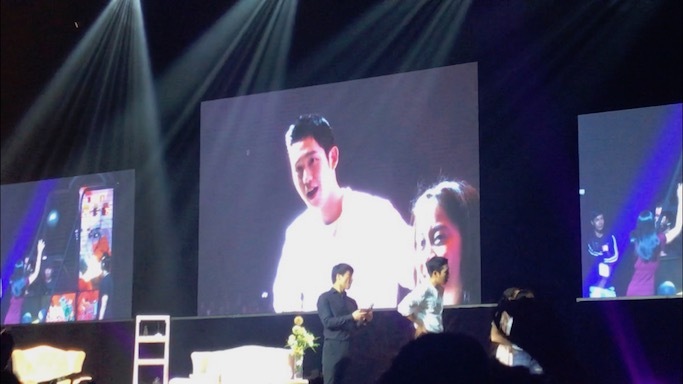 I even heard girls shouting "NOONA!" 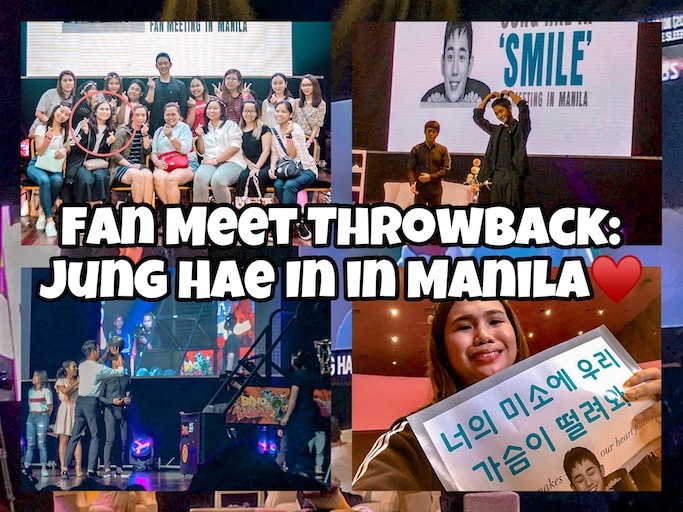 And a tribute video for Hae In from his Filipino fans. 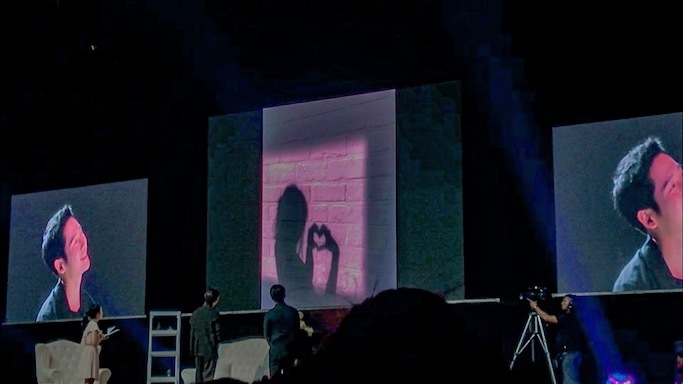 I love the part when the fans all had their "shadow heart" interpretation, huhuhuh. 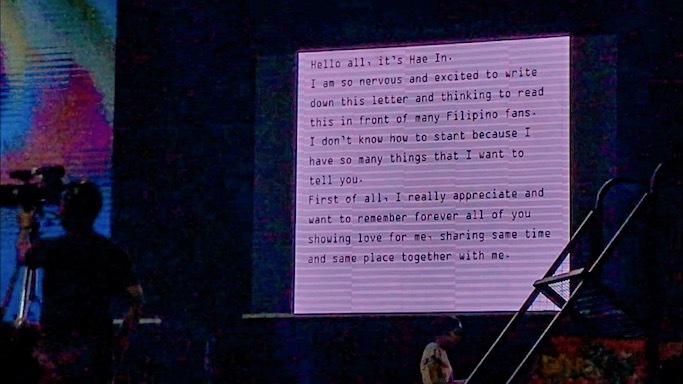 Hae In's heart felt letter to his Filipino fans. 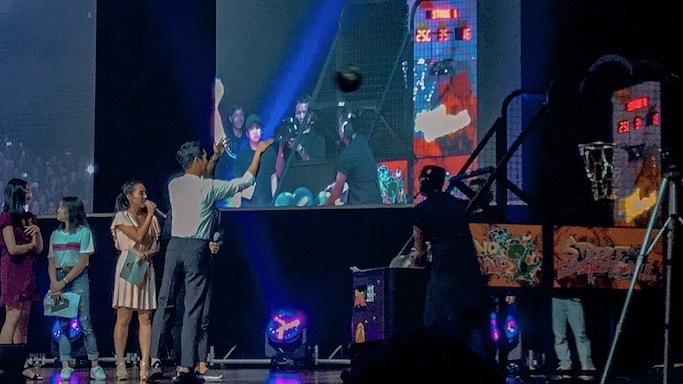 I really look up to them, Korean superstars, because they are very humble, they try their best to connect to their fans, and they always strive to be better even when they are already famous. 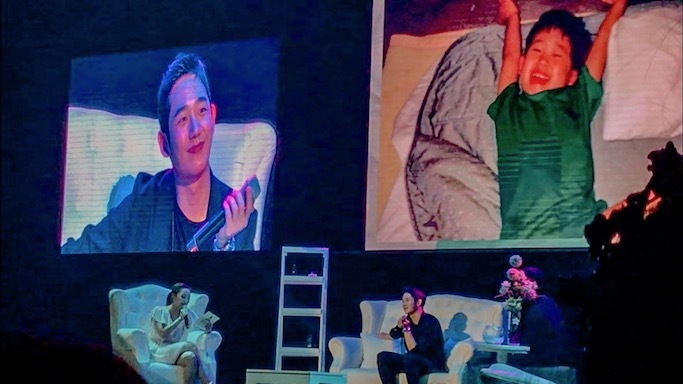 "Thank you for sending unconditional love and support for me who is not good enough yet." Huhuhu. 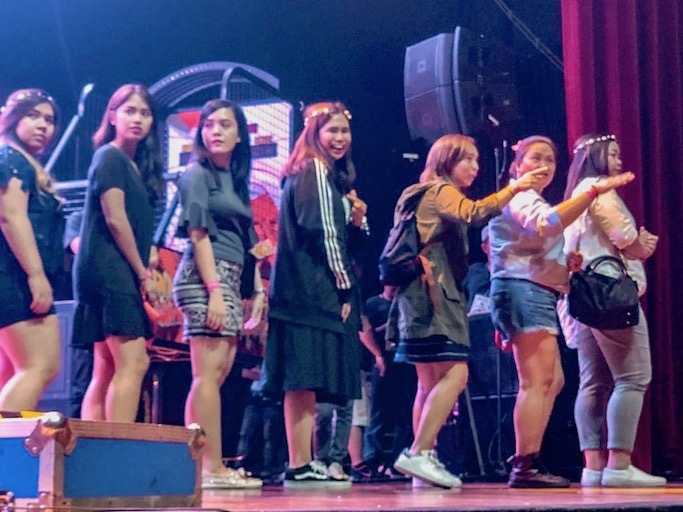 Thank you to chingus who saw me during my turn for the hi-touch and photo op onstage! Saranghae! 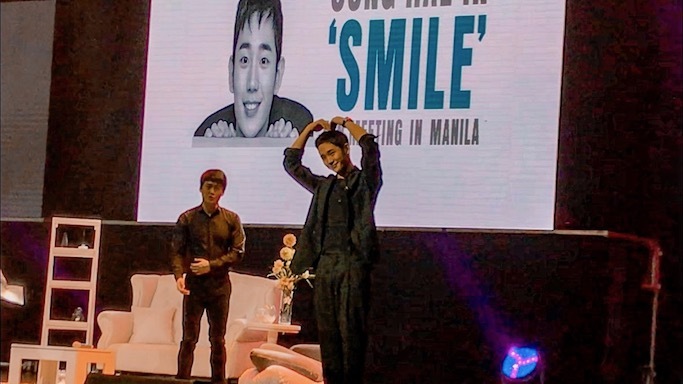 Marami-rami narin akong nainvest (haha) sa mga fan meetings nato, to the point of even going solo just to see my favorite Korean stars in the flesh. I always pick the best seat that I can afford, although medyo pricey lang talaga noh? I think now that I am just looking back on it, I still have no regrets that I made a once in a lifetime moment like this happen to me. I was happy that day. 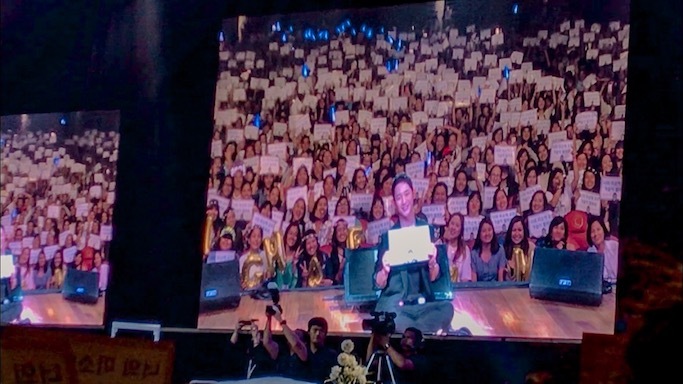 My recent fan gathering is for Lee Jong Suk, who is coincidentally Jung Hae In's co-star in While You Were Sleeping! 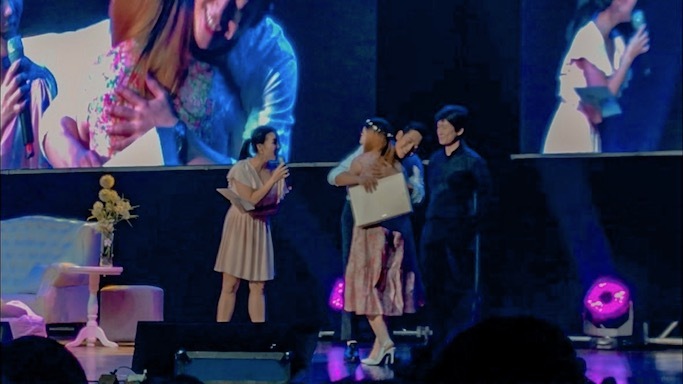 For the first time in my fan girling life I got my tickets for free (as a media partner), and even had extras that I was able to share to friends and online readers. Life has been good to this fan girl this year. 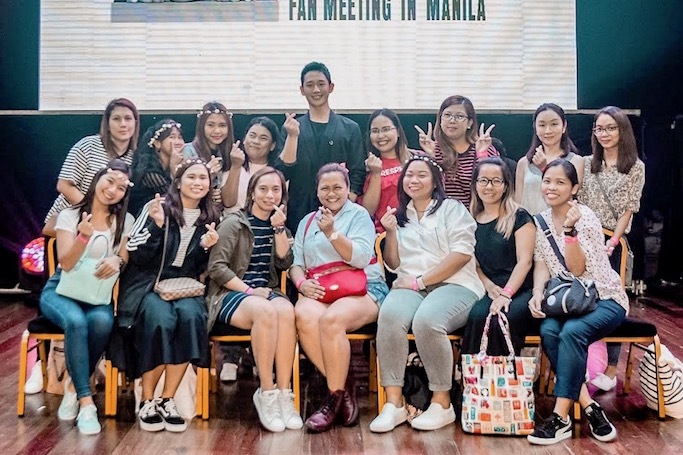 I am super grateful but know that with free tickets or not, with company or alone, I will be in the fan meet venue to support my faves.